HITO is excited to announce the 2016 HITO Regional Apprentice of the Year winners. Thank you to everyone that entered this year. The applications were incredible, and the judges had a difficult time picking the finalists and winners for each region. You should all be very proud of what you’ve achieved. “Every year there are stand-out entrants that truly make their mark. It’s an honour to judge the awards, and we’re excited to announce the finalists for this year and celebrate success in hair and beauty”. Each regional winner is now a finalist for the overall HITO Apprentice of the Year Award. HITO will announce the overall winner at the Industry Awards on Sunday 13 November at the Langham Hotel in Auckland. 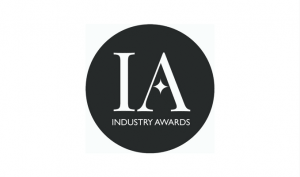 Regional finalists receive one complimentary ticket to the Industry Awards. If you’re not a finalist this year, we’d still love to see you at the Industry Awards. You can purchase tickets here.